I’ve got some gorgeous books for you and your kids to check out this summer. First up? 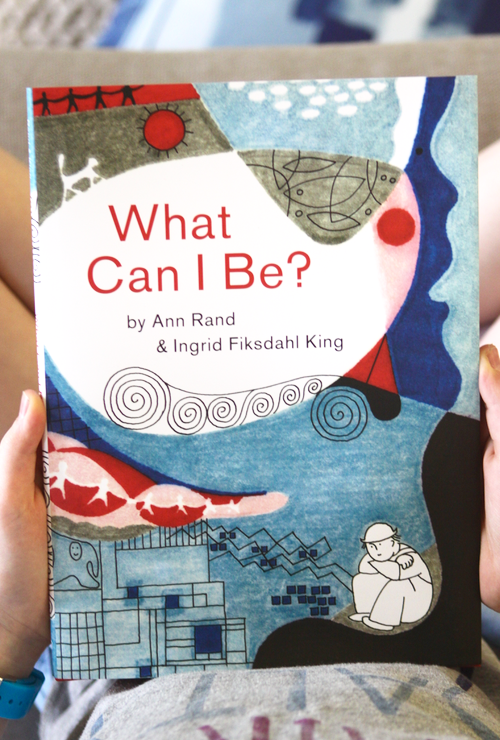 What Can I Be, written by Ann Rand and illustrated by Ingrid Fiksdahl King. This book was originally published almost 40 years ago, but was reissued this past spring. It’s a classic. Vibrant and fun to look at, and it gets the brain going. It starts with a shape — a square or a triangle — and asks the reader to imagine what this shape might be. Is it a sail on a boat? A kite? A tree? All of the above? I feel like these two (Davide and Benjamin) make a good pair. They know how to make kids laugh, and they understand how to hit that perfectly silly and fantastical note with both words and images. In a few short weeks the what-did-you-do-this-summer questions will begin — here’s hoping this book inspires some super creative essays in the fall. 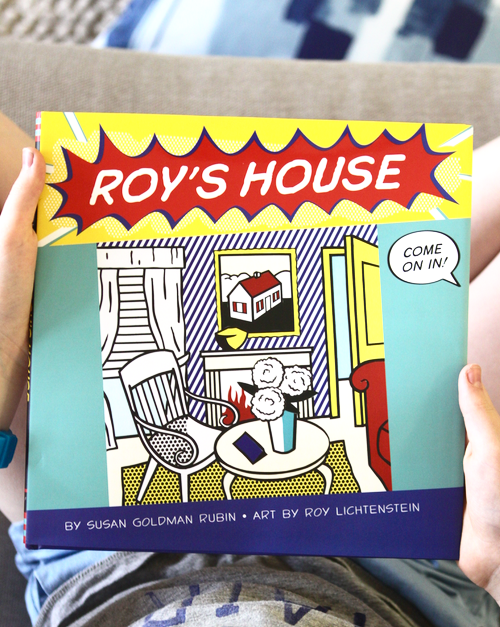 And now we have Roy’s House, by Susan Goldman Rubin with art by Roy Lichtenstein. This one is for pre-schoolers. It’s simple — covering colors and numbers and other basics. 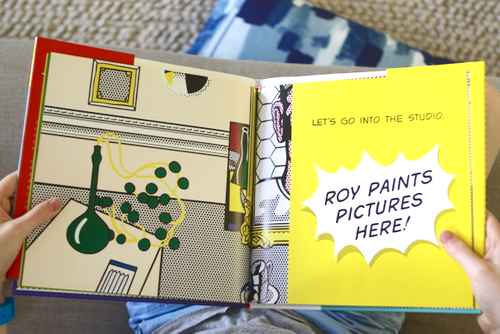 But the whole book is illustrated with Lichtenstein’s work. So it’s also an introduction to the famed artist. My fourth pick today just came out. 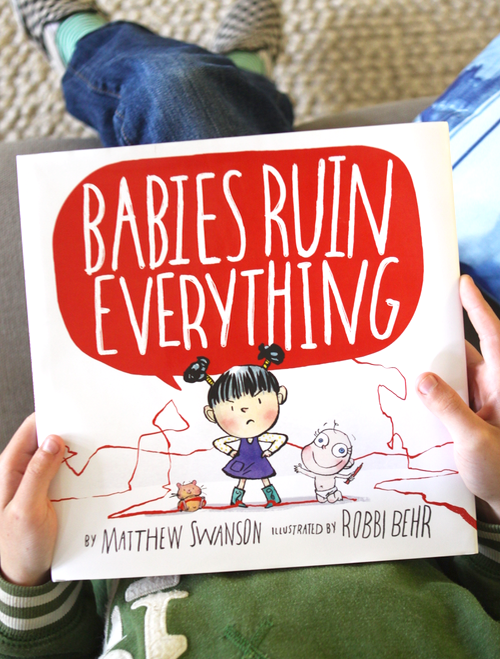 It’s called Babies Ruin Everything, written by Matthew Swanson and illustrated by Robbi Behr. I happen to know this husband-wife team in real life. A few years ago, they applied to be speakers at Alt Summit, and they were fantastic — attendees couldn’t get enough of them. They’re both super smart and super funny, and they play off each other in the best sort of way. And this book is a great example of their work. It was created for big brothers and sisters who suddenly find their life disrupted by a new baby. 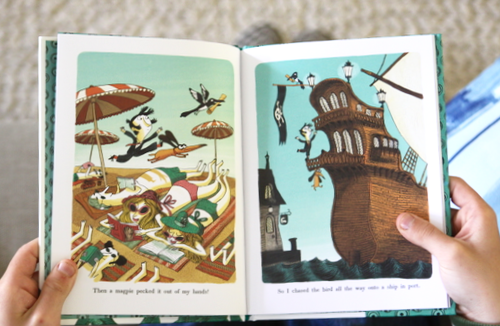 The book is smart and witty, the illustrations are eye-catching and fun to study. Both children and adults will be nodding along and totally relating. Now it’s your turn. What have you been reading lately? Any titles you want to recommend? 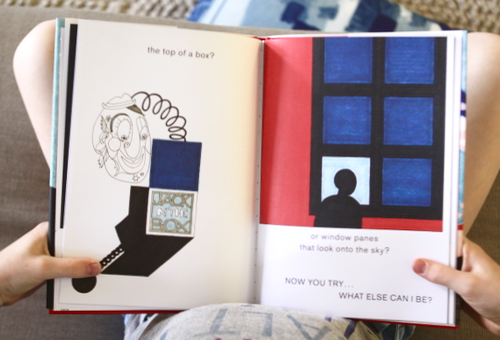 Thank you for these posts – for a while now, they have been my go-to when choosing new books for my own kids or for birthday presents, and the choices always turn out to be hits! Wes doesn’t fit in, and decides to found his own civilization in his backyard, complete with giant, miracle plants that supply all his needs. It inspired us to try a sunflower garden this year (which the chipmunks defeated, sadly), but my 5-year old re-read the story for *weeks* and talked about her own civilization plans. I’m new here.. and these books are gorgeous! Thanks for sharing! Aw shucks, Sue, thanks for the shoutout!!! I’m so glad your girls enjoy the projects and activity sheets – they are one of my favorite bits about the club. And hey, write us more emails! We love to hear from, well, anyone! We live in a barn! We’re starved for company! Though now you’ve raised the bar on having to respond with wit and joviality… we’ll try not to disappoint. I love Benjamin Chaud; I use these two books with my 8th graders (for ESL) : something funny happened on my way to school, and I didn’t do my homework because… I use them as starters for their “final task”, when we learn about “classroom English”, as we say. They have to come up with crazy ideas as to why they are late and why they couldn’t do their homework. Instead of giving lots of crazy reasons, they have to write a long crazy story. It’s a big hit! 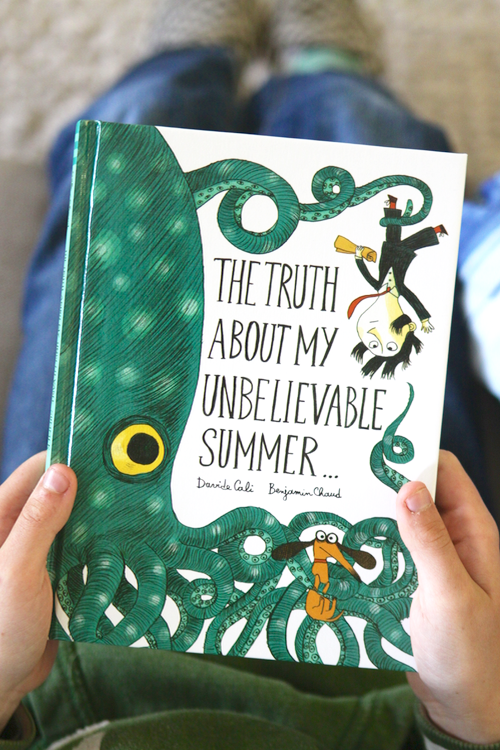 The truth about my unbelievable summer looks like such a fun book! We’re going to have to see if it’s available at our local library! We’re getting ready for the Olympics by reading about famous Olympians! Wonderful picture books about Jesse Owens, Wilma Rudolph, Gertrude Ederle, and a longer chapter book about Eric Liddell (of “Chariots of Fire” fame). We’re getting so inspired! The last library book we loved was “Extra Yarn” by Mac Barnett and now it’s on our wish list. Jon Klassen’s illustrations are so great. “Library Lion” is awesome! Have you seen the version that includes a CD? Many libraries have a copy. One my son and I happened on recently at the library that has quickly become a favorite: “Grandma’s House” by Alice Melvyn. I usually dislike pop-up books because they’re so fragile and they tend to substitute gimmick for good art, but this one is gorgeous. 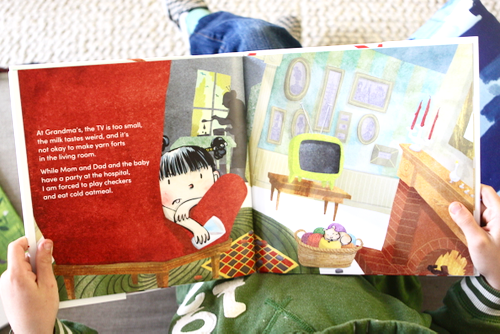 The concept is simple: a little girl looking for her grandma – along the way, she shows us all the lovely things and secret hide-outs that make Grandma’s house so special. Doors, windows, and flaps let us peek forward to the room ahead and back to the room we just came from. 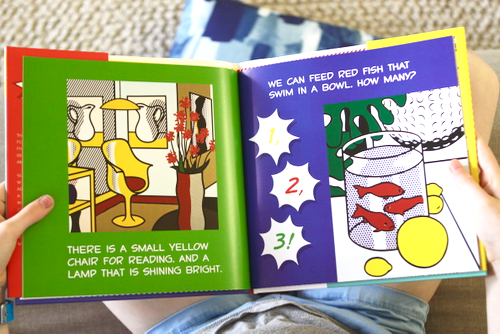 The only problem with the book is that Grandma’s house makes me just a wee bit jealous. 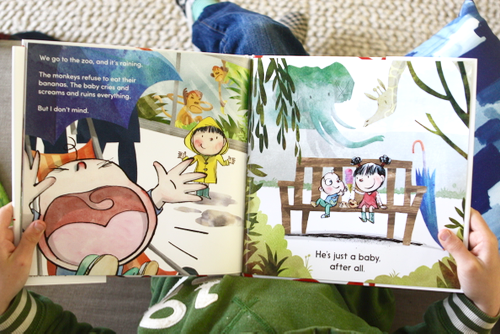 I’m biased but I’m in love with this picture book, written and illustrated by friends. 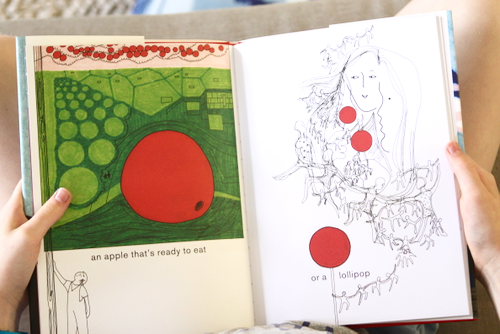 The story is lovely in its simplicity but the gorgeous illustrations blow me away. I love that the main character is a kid of color and there is such diversity in Ming’s classmates. Highly recommended, especially for those entering school in the fall. 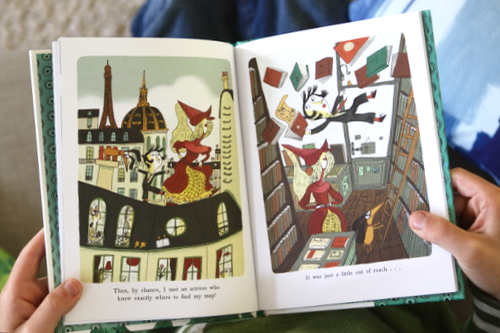 Do you think while in France you might consider doing a French picture book series? It would make this little bilingual family so happy to have a list of (at least a few!) resources. Merci! I would also suggest Marc Boutavant's Mouk character. Just gorgeous and luminous illustrations! Story time is the BEST! I’ve never heard of any of these books before, so thank you! I am currently in love with “The Wonderful Things You Will Be” by Emily Winfield Martin. We happened upon it at the library, I showed it to my mother-in-law and she gave it to me for my birthday this week! The art and words are all so beautiful!